Show me some K-Pop videos? Ultimately, Hope wants to spend time with me. She doesn’t want drama; she wants love. Next thing you know, Hope schleps out with her blanket, and we watch a couple of deep sea creature documentaries and all was well with the world. We were cool. Even when Hope is in a lot of trouble, all she wants is the reaffirmation that I love her, that I want her, that she is safe and that we’ll always be cool. And we will be. We’ll be just fine. I try to remember that when I get angry or frustrated with her; all I have to do is draw her back in. A few days ago Hope and I were in the car listening to a podcast. We were chuckling about the show, and then it ended and we listened to some of the commercials before the next podcast started. One of the commercials was about a new podcast on the magic of childhood. I was only halfheartedly listening to the commercials. I caught the thought and let it slip through my mind. We sat quietly at a light. I quickly thought about all of her young years and the things she endured. I felt her trauma in my soul. She didn’t say anything else, and I wasn’t sure what to say next. So, I didn’t say anything at all. It was one of the few times during our time together when I was completely stunned to silence. Usually, I can come up with something, but I had nothing. And I was just overwhelmed by the absence of magic in my daughter’s childhood. I understand how she concluded that the magic of childhood was nothing but a farce. It breaks my heart. I have these fond memories of growing up. I remember my parents love. I remember birthday cakes and playing in the street with neighborhood kids. I remember when they took me and my sisters to Disney World and numerous other family trips. I remember feeling safe and loved. I remember so many little details that are clear to me know but seemed magical then. I know that there are some memories that Hope has with her first family that are happy memories, but the number of those moment to moment memories are dwarfed by memories of instability, fear, and profound grief. The latter so crushing that she can barely see the good stuff in her mind. And she can’t separate those memories and just erase the bad ones. She has figured out how to reconcile the bad stuff; she can’t partition it to try to create some magic. The magic of childhood is lost to her. I wish I could change it all for her. I can’t, but I wish to hell like I could. I have spent a lot of time and resources on helping Hope heal. I didn’t realize that I was also trying to create some magic in the waning years of Hope’s adolescence. I try to give her big and small experiences that will stick with her. I’m hoping they are special, magical, but knowing that she doesn’t think there’s any magic in childhood just makes me feel so sad. I wonder will she still feel this way years from now when she has her own child? Did my silence, my failure to offer some wisdom about childhood magic, just reaffirm her grief? What can I do to make magic for her? Can I still create some magic for her? I honestly don’t know what was I supposed to say in that moment that would validate her but offer a different narrative. I still don’t know what I was supposed to say to that declaration. I just don’t know what to say about there being no magic in childhood. 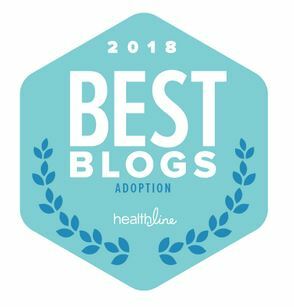 I haven’t officially written about lessons learned while parenting through adoption in many moons. As I sit in a hotel in Michigan this morning I realize that I really learned some cool things in the last few days. Business travel is a form of respite. This isn’t really a new lesson, as much as I really need a reminder sometimes. Hope and I actually get along much better when I travel at least once a month for work. It can be such a hassle getting everything in place to go away without a bunch of worry. She’s also a little older now and when I leave she tends to step up a bit more. Seriously, just being in a hotel where I can leave my clothes on the floor (something I don’t do at home) is simply indulgent. Even room service—wow, someone brings me food without kvetching about it. The validation I get after a lecture or a meeting; that’s something I don’t get at home much, so the ego stroke is super nice. I’ve been on the road for 5 of the last 7 days and it’s been marvelous. Travel also gives me perspective, which is essential. Back during the first year to 18 months, Hope and I would video chat while I was away. It was fun since we would also download apps that would allow us to draw on each other’s faces and make funny noises and everything. And then, one day, she didn’t want to anymore. I was sad. I was kinda hurt too. Hope knows I’m coming back. She believes I’m coming back. She’s secure in knowing I’m coming back. She doesn’t need to see me, sometimes acts like she doesn’t even need to talk to me, while I’m away, because my daughter who was afraid of being deserted knows I’m coming back. I smiled because that’s probably the biggest positive development ever—she feels safe, even when I get on her nerves, even when we bicker, even when we yell, even when it all falls down around us, she knows I got her. I am overwhelmed in trying to figure out how to handle all of this education stuff. It’s not that I don’t know how; I’m so fortunate to work in education and to have some street cred with the whole doctorate. It’s really that I’m swimming in information. I’ve been doing a lot of reading, a lot of research, trying to figure out strategies might help us, what might help click some things into the right place. Trying to get a plan together is exhausting—who knows what will work. I’m still not good at patience; I’m still not all that great with figuring out long games versus short wins. I’m still developing those skills, I guess. Tomorrow I’ll get the latest psychologist report back and start that planning process all over again. Hope use to groan about all of the appointments and conversations; she doesn’t anymore and I know it’s because she also wants to believe we can figure this life knot out and help try to smooth her path a bit. I want to believe it too. Yappy is turning into one of the great loves of my life. I honestly didn’t think I was capable of loving a pup again the way I loved The Furry One, but my terror of a terrier has wormed his way into my heart. He really is a comforting critter when things are hard, and his attachment to me…it’s probably unhealthy, but gosh, I love that he loves me more. It ain’t right, but it’s real. You could not pay me to be a teenager again. I remember these years—they are coming back to me because really, I had banished it from my memory—these years kinda sucked. I mean, there were some awesome times with my best girlfriends and all the football games, the sports I played, the fellas I pined after and/or dated. But the insecurity, the hormone swings, the drama, so much drama. The boys and what I liked about them and what made me dislike them. Over dinner out this evening, Hope was telling me about some boy in her band section that she must’ve had a 15 minute crush on. She went on to say how the crush abruptly ended when she saw him sleeping ugly on the charter bus on the spring band trip. What, that’s it? That’s all he did? He slept ugly? Yep, that’s what did him in. I’m also reliving a good portion of this developmental phase because Hope loves to talk. Now, I’m incredibly grateful that she does talk to me and that she wants to talk to me, but some of this ish is so utterly ridiculous that I actually feel precious brain cells slipping away. It is hard feigning interest after say, the first 45 minutes of really trying to follow along. Dear Holy Homeboy, help us all. Teenager-dom is hard work. Hard, hard work that is sucking my brain through a small, painful straw. So, the lessons are always coming, even when I don’t write about them! We are on the upswing and this time apart is giving us both an opportunity to breathe, think and reflect. Time Outs, Switches & Modern Parenting on AWAS! If you’ve ever hung out on “Black” social media, surely you’ve come across such a #ThrowBackThursday kind of post. Not only has corporal punishment long been a form of discipline within the Black community (and other groups too), but there is often a certain amount of pride in having endured and thrived under the lash of a good spanking/whooping/beating. 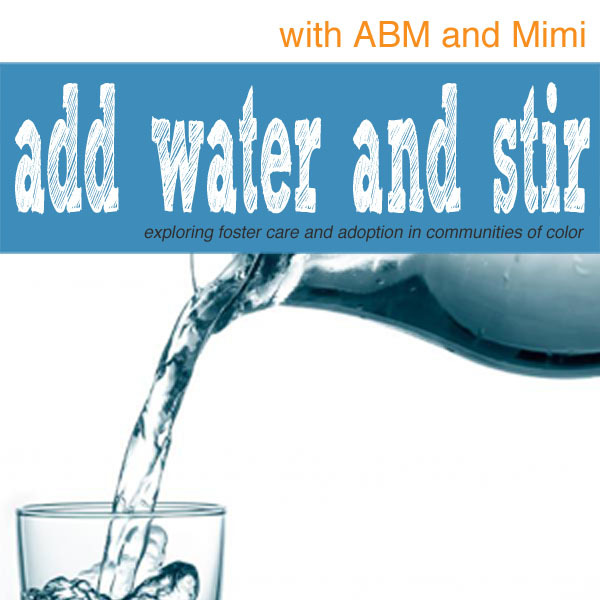 On this week’s Add Water and Stir podcast ComplicatedMelodi’s Mimi and AdoptiveBlackMom will talk about discipline, communities of color and adoption. 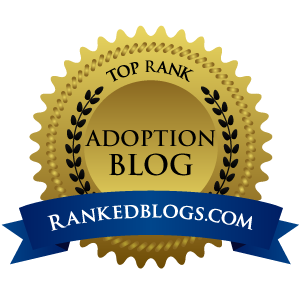 Adoption often involves significant loss and trauma, requiring patient, therapeutic parenting. Mimi and ABM will talk about how all this jives together in the face of family and friends who fondly reminisce and declare that if it was good enough for them, then corporal punishment is good enough for the kids. Of course, we’ll have our regular Wine Down session–we’ll catch up on Married at First Sight (live tweeting tonight)–and offer our recommendations! Join us on Google+ on Thursday night at 9pm CST/10pm EST! Add Water and Stir: What’s Going On? On this week’s Add Water and Stir, Complicated Melodi’s Mimi and ABM from AdoptiveBlackMom talk about current events, raising children of color, power and privilege, and their fears, hopes and dreams for their kiddos. Recent events like, but not limited to, the killing of 18 year old Michael Brown of Ferguson, MO, should give all parents pause and require a moment of thoughtful reflection. So what do you think about Ferguson? Did you talk about it at all in your family? What did you say? Does it make you think about how you raise your children? If you are an adoptive family of color or transracial adoptive family, how did these lenses shape your reaction to this social episode? Drop us a line and let us know your thoughts and we’ll try to chat about it on the show. In the “Wine Down,” Mimi and ABM will chew the fat on the Love and Hip Hop:ATL prize fight reunion shows and Married at First Sight (which incidentally we both live tweet through on Tuesdays). Find us on Google+ for the live hangout on Thursday, September 4 at 9pmCST/10pm EST! The YouTube video is available immediately and you can catch our MP3 downloads on our Add Water and Stir podcast page within a day or two of our live show.